I have had a lovely afternoon walking along the brook and the sun has been shining and I've had some interesting conversations. But the best thing was actually getting a load of shots of the male kingfisher and he was in his usual place but showing himself off to me which was nice. I had forgotten to switch my camera to RAW so it's jpeg but I am still pleased with this shot. I did actually get some shots of him with a fish but they were not as good as this one as I was quite a long way away and I purposely left the teleconverter at home as it does slow the focus on my lens. Thank you for getting yesterday's tulips on PP - it is always much appreciated. Brilliant -- one of the best yet! Really beautiful Rosie. You certainly have a knack of finding them. Fav! He is beautiful and the light has caught him brilliantly. @padlock It's a wonder I managed this!!! @rosiekind think it is brilliant . Fabulous capture Rosie!! Perfect composition and gorgeous bokeh!! Top shot!! Fav!! Rosie, how beautiful is this? 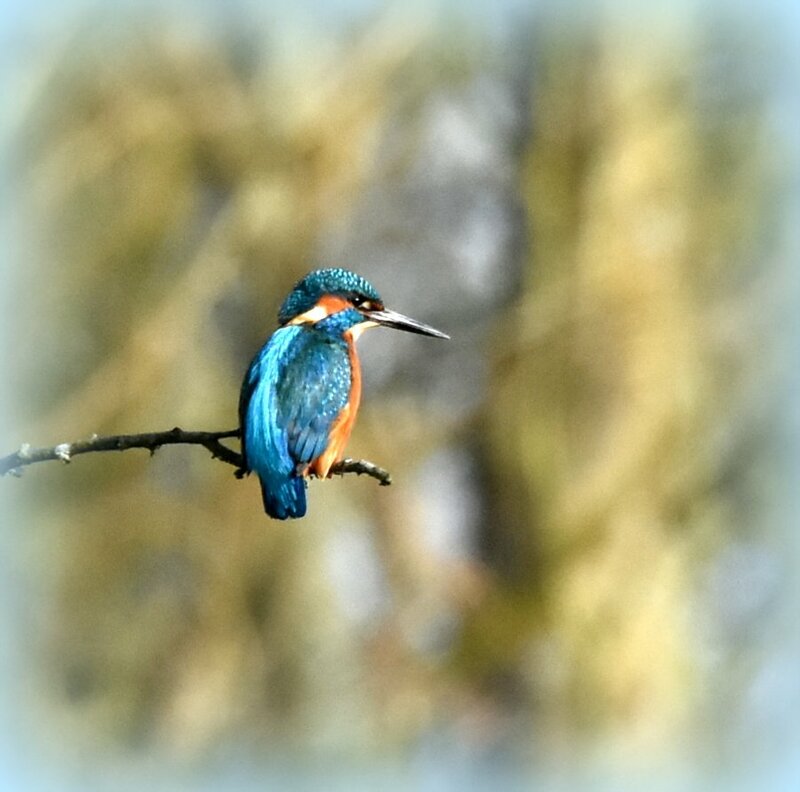 I wish I knew where to find the kingfishers - I would be happy enough to see them let alone photograph them. Stunning colours, what a beautiful bird. Pretty little bird and an excellent capture. His color is incredible. Never seen a bird this brightly blue. Love the colour of your Kingfisher Fav. Wow my fav fav for a long time. I have never seen a kingfisher in real life. He sure is lovely. A stunning capture. I love it. Fav. Congrats on TT Rosie - well deserved for this fab shot!! Already a fav -- so glad to see this on TT! Another great kingfisher shot. Congratulations.